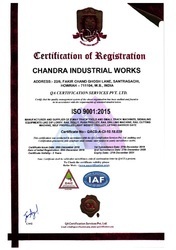 Since 1965, our organization "Chandra Industrial Works" is ISO certificate company and involved in manufacturing and supplying a wide range of Railway Tools and Components such as P Way Tools, Railway Accessories, Railway Tracks, Fittings and Allied Products. All our offered range of products are manufactured using superior grade material and advanced technologies by the experts. Our ultramodern machines enable us in ensuring the prefect finishing and high standards of the offered range. Moreover, our quality auditors test these products to check their adherence with the set industry standards and quality norms. For systematic, efficient and timely execution of all our business processes we have appointed a team of sincere and skilled professionals. Mastering in their respective areas, these professionals are well versed with the pros and cons of this industry. Further, the professionals of our organization strive to maintain a healthy relationship with the clients, which helps us in understanding the clients' exact requirements and offer products accordingly. Owing to the customer-centric approach, high standard products and diligent team of professionals, we have been able to stay ahead of our counterparts. Under the able guidance of our mentor. 'Mr. Indrajit Karar', we have been able to achieve tremendous success in this industry. His detailed industry knowledge, brilliant managerial skills, business acumen and constant motivation have helped us to muster numerous loyal patrons' in our client-base. Our list of key customers include Bharat Filter Stores, Kolkata & West Bengal, Hind Enterprises, Mumbai & Maharashtra and MMB Engineering Works, Secunderabad & Andhra Pradesh. Manufacturing and Trading of Railway Tools and Components. To serve the varied needs of the clients, we have established a sound infrastructure facility. This facility is spread over a wide area and is divided into various departments to have trouble-free operations. Our infrastructure includes a manufacturing unit, quality testing unit, research & development unit and a spacious warehousing unit. All these units are equipped with high grade machines and equipment that enable us in retaining excellent production rates and maintaining smooth flow of operations. 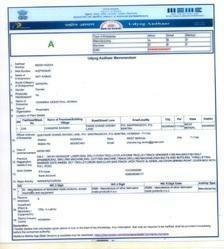 Moreover, these units are well managed by a team of trained and hardworking professionals. Further, our well connected warehouse to various transportation networks enables us in delivering the ordered consignments within the postulated time. Backed by a team of dexterous professional, we have been able to achieve all our business tasks in a commendable manner. We have recruited a team of deft procuring agents who perform various market researches and surveys to select the best vendors for sourcing the raw material. After the production process, the appointed team of highly qualified quality controllers examine the products on various grounds to ensure their compliance with international quality standards. Further, our relationship personnel keep in regular touch with the clients to take their valuable feedback and suggestions, so as to offer products exactly according to their needs. 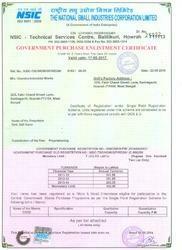 Due to the offered optimum quality products, we have been able to gain the faith & support of our valuable clients. Owing to the transparent business policies, timely delivery of consignments and ethical business practices, we are the preferred choice of the clients among our counterparts in the market.